Nezvysko settlement [Незвиське поселення; Nezvyske poselennia]. 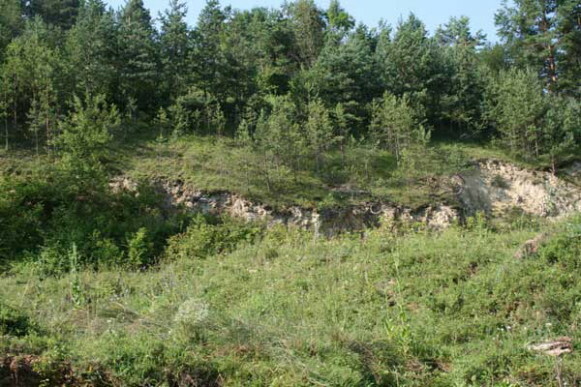 A multi-occupational settlement of the 4th to 3rd millennium BC on the right bank of the Dnister River near Nezvysko, Horodenka raion, Ivano-Frankivsk oblast. Excavated in 1926 and in the 1950s, the site yielded early agricultural implements and plates of the Linear Spiral-Meander Pottery culture. The Trypilian culture component of the site produced numerous tool forms, small bronze items, and pottery with monochromatic or polychromous ornamentation. The inhabitants of the various settlements at Nezvysko practiced agriculture and animal husbandry.